Visit also my download pages for the Pic code list and the software to use with my circuits. !!!!!!!!!!!!!!!! More projects in the italian pages !!!!! It's a variable power supply based on a lm317 voltage regulator the range of power is between 1.6 and 13.5 volt, you can get till 1,5 Amp. if supply the IC of a good cooler such as an aluminium plate. The range can be varied by turning the 1k linear potentiometer. This circuit is good for that kind of little home appliances like walkman, disc player, gsmcharger. Finally it' s a stable and affordable power supply always useful !!. Obviously the transformer should be adequated to the current requested from the circuit ! It's just a simple power supply with a 7805 regulator, the chip must be mounted on a large metal radiator, because the current requested by the regulator is near 0.4 A. However to lower the power, you can put a 10 ohm 2 watt( 0.4*5=2 w) in series to input pin. You can use it in you car , by connecting it to your lighter plug. 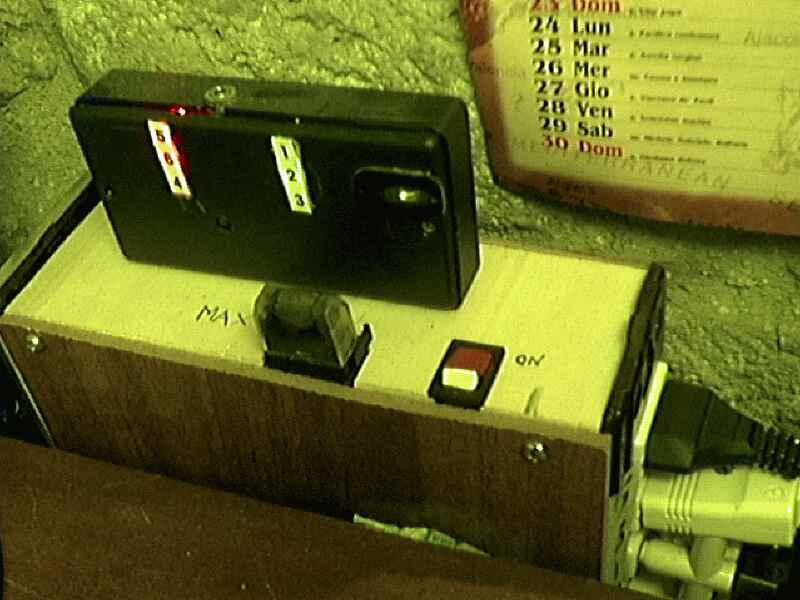 A simple and functional project for your Nokia 8210. The charging time is equal to that of the standard charger. I realized the first schematic shown here, cause it's more simply, but I took all informations about the other pins from the second schematic, click the buttons on top and you will understand what I mean. BE careful to all connections and control everything more than once to ensure the circuit to work . 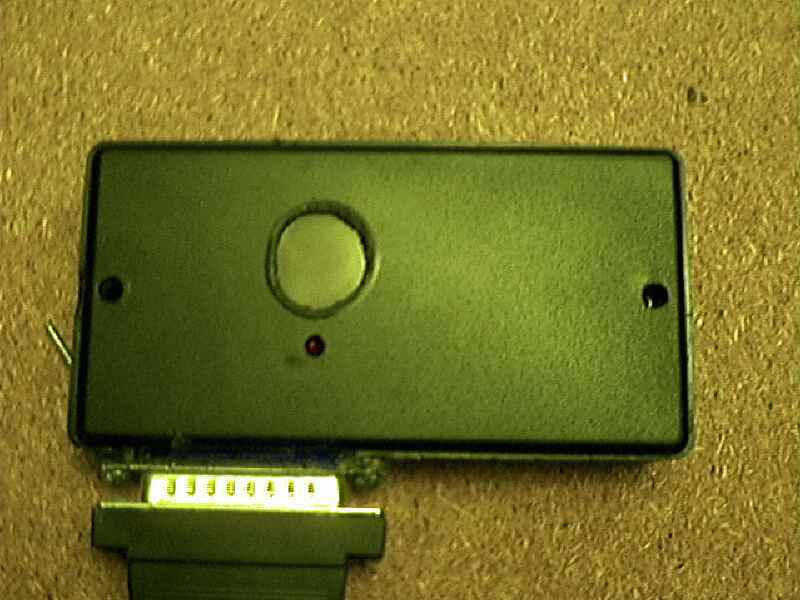 Note that the scart cable must have the 19 and 20 pin inverted if it's not so do it ! or your circuit will never work. I have put all in my monitor case and got out with a scart outlet . With this project you can play games, watch photos or video on your pc but FORGET TO USE WINDOWS, infact there is a flickering on the image that is really impossible to read texts without being annoyed . besides it's impossible to eliminate it !. This circuit is useful to show chen your line is busy. I used for this a pair of smt transistor, the leds on when the voltage drop down to 40 v.
Having found an u664b prescaler chip (Telefunken) from an old tv-tuner , I decided to build a valid frequency counter using pic16f84 , the prescaler I use is able to divide by 64 every frequency from 30 to 1300 MHZ. 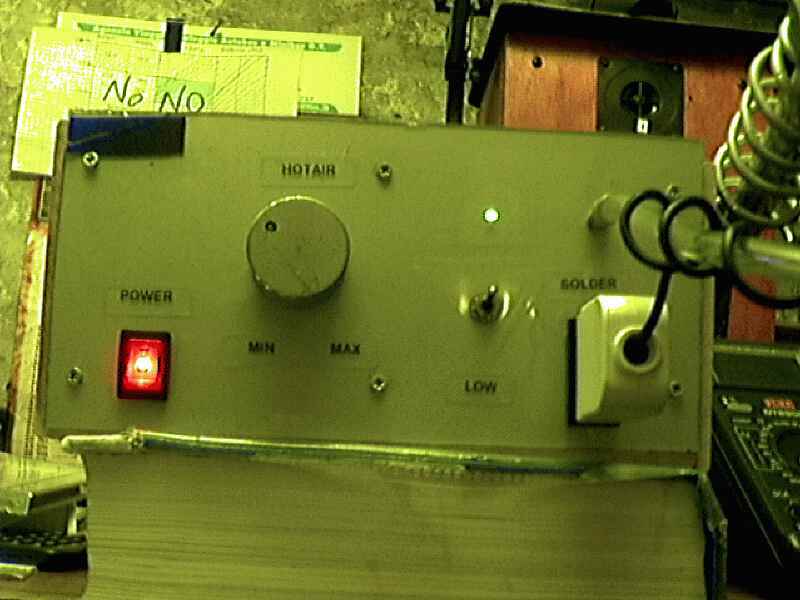 The original project is from Peter Halicky but as he used a sab6456 prescaler (divider by 256) I had to change the code to adjust the gating time to my different divider factor ( 64) and also to my 4.8 MHZ xtal (he use 10 MHz xtal). However the U664b is perfectly compatible to SAB6456 so you can substitute it pin to pin. The measuring is divided into 2 ranges 0-50 MHZ , 50-1300 MHZ turning a switch.I used for this a 2 way relays to switch between the 2 input port (low MHZ and prescaler). Besides he use a 74hc137 (bcd to decimal converter) to control in multiplex mode the common cathode display , but AS I've no availability for this chip I replaced it with 74 hc138 , slightly different but in this application is fully compatible pin to pin. 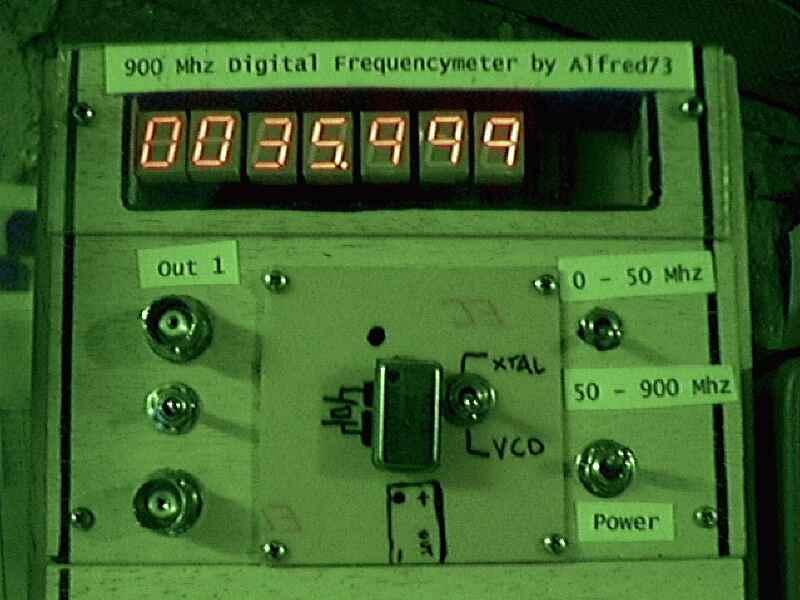 If you don't have the prescaler you can built it to use the lower frequency range 0-50 MHZ. Inside the code you'll find the formula to modify the timing parameters for your Xtal and prescaler-divider-factor. Consider that those value inside my code are referred to 4.8 MHZ xtal and : 64 prescaler factor.So FINALLY it is a cheap and useful project for those of you interested in radiofrequency. if you need help , write to me , and I'll answer you as soon as possible ! P.S. the software code is free for private use , contact Peter Halicky for other use. 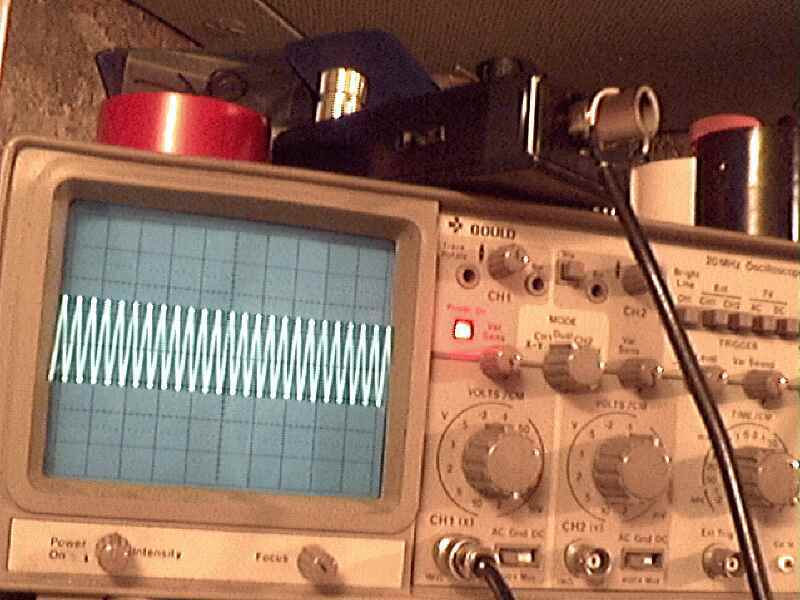 It's just a variable oscillator based on a bf245 or k 161 fet. 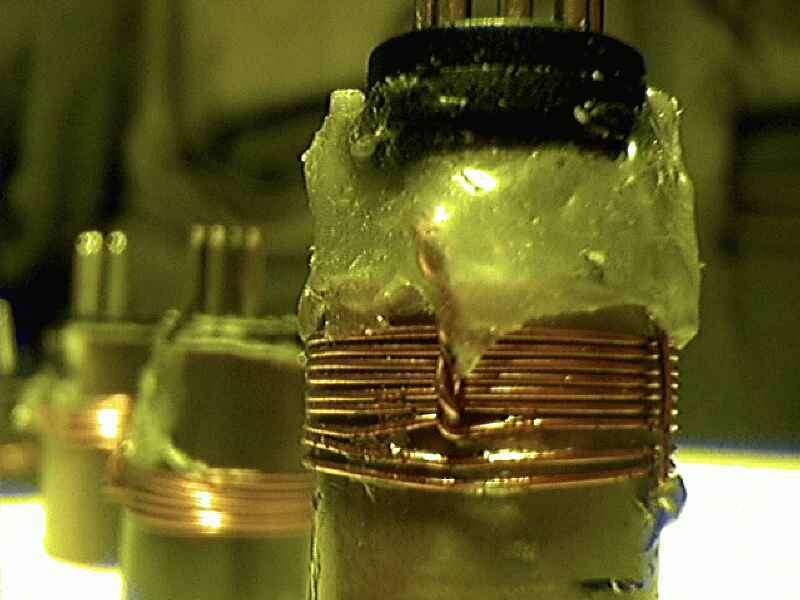 By changing the coil it can generate frequency between 0.5 and 300 MHZ. 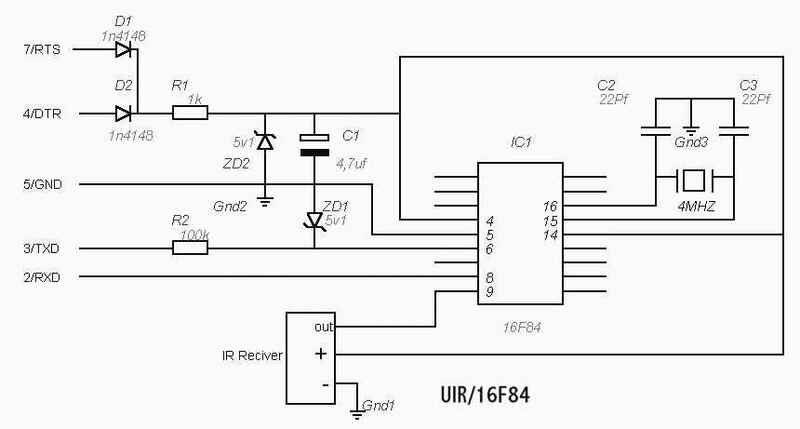 this circuit is useful to test radio circuit such as filter, receiver, transmitter and so on . It can be use for coil tuning thanks to the 100microA meter .It must be placed in a metal case but I've used a double sided vetronite board, one for ground. To build it , is requested particular experience in radio-frequency assembling . First of all remember to put as short as possible all connections or you'll have problems over 50 MHZ. 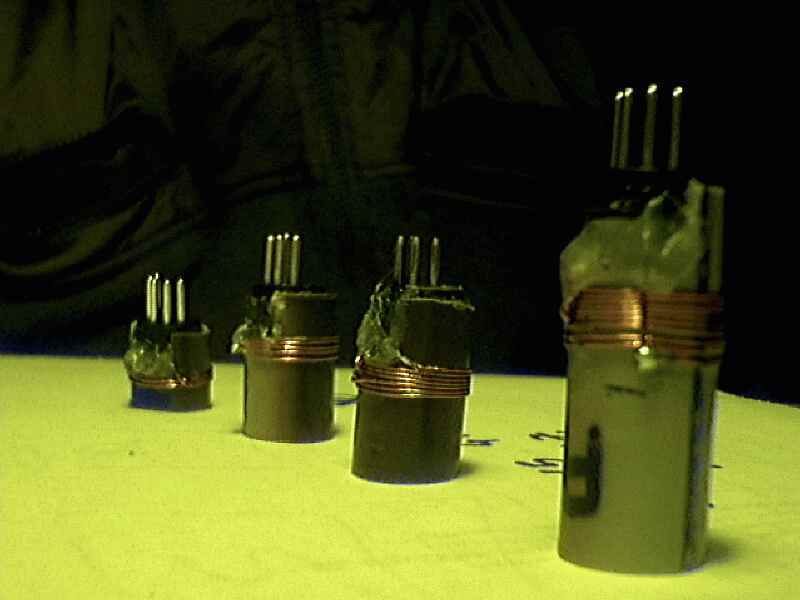 .Coils are build as shown later using a 5 pins DIN plug . The central pin is used for central tap of coil . The variable condenser is that used in normal fm-am radio which as 20+20 and 300+300 pF capacitance. The first channel is used for frequency over 50 MHz, the second for the other low frequencies. In my project there is also a little 1 kHz oscillator based on a 555 timer, used to modulate the radiofrequency with an audio signal, useful to test receivers' audio stages. 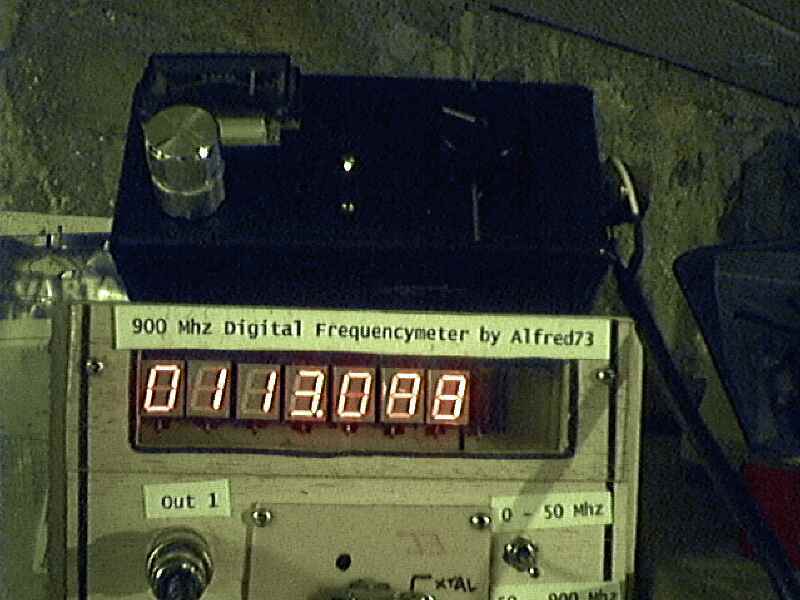 The signal is readable by a medium-sensitivity frequency counter such as that published in these pages. 10 - 25 MHz , 10 turns enamelled wire 0.5 mm on a plastic tube of 1.5 cm Diam. Centre tap on pin 3 e the other on pin 1-2 e 4-5 shorted. 25-50 MHz , 9 turns enamelled wire 0.5 mm on a plastic tube of 1.5 cm Diam. Centre tap on pin 3 e the other as above. 50-70 MHz, 6 turns enamelled wire 0.5 mm on a plastic tube of 1.5 cm Diam. Centre tap on pin 3 e the other on 1 and 5. 70-100 MHz 4 turns enamelled wire 0.5 mm on a plastic tube of 1.5 cm Diam. Centre tap on pin 3 e the other on 1 and 5. 100-150 MHz 3 turns as above. 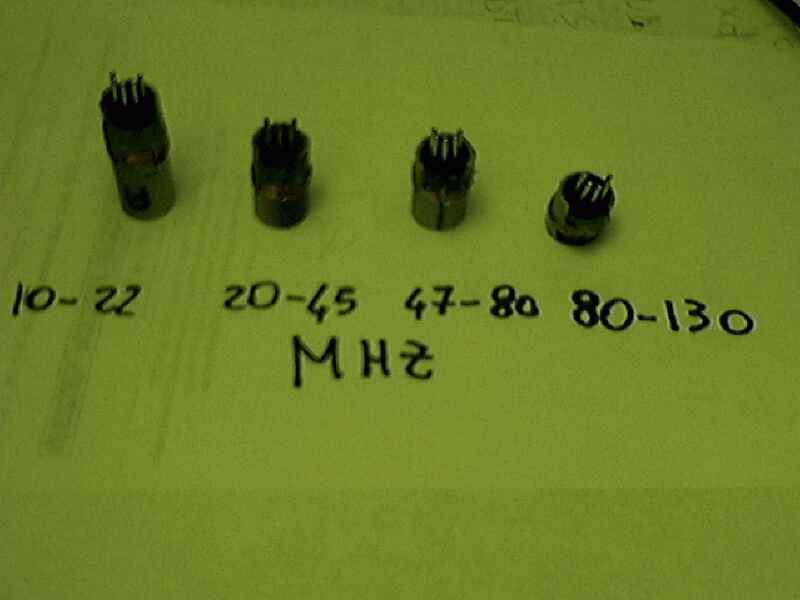 150-200 MHz 2 turn on air on 1 cm diam..
200-300 MHz 1 turn centre tap without din socket like a reversed " U" with a centre tap on pin 3. 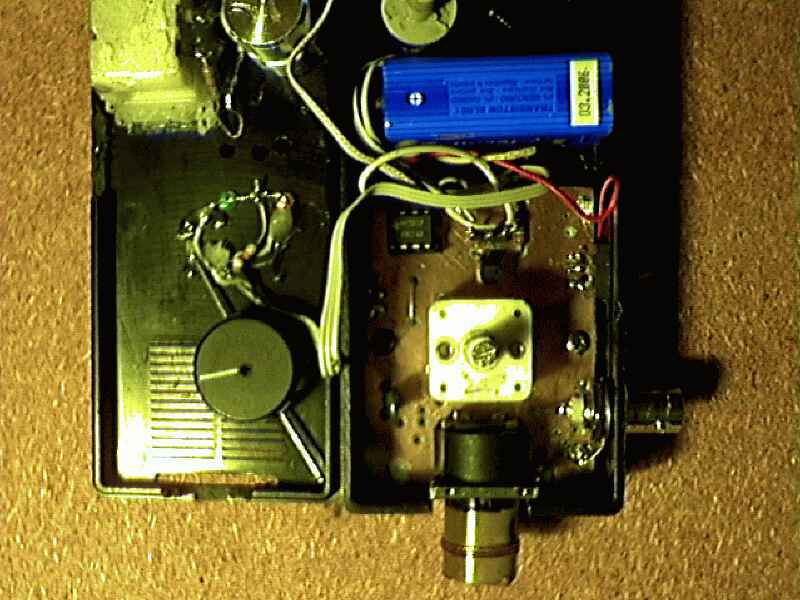 Obviously the final frequency can really differently from that described above, you will' have to change spacing and add-subtract coil to reach the exact frequency you want by using a counter of a wide band receiver. Remember the first rule on radiofrequency connections : " AS SHORT AS POSSIBLE !!!!!" In the gallery section you'll find some photos about my own GDO under testing. This is a JENS MADSEN 'S project I've built to program my pic and EEPROM (16xXXX AND 12CXXX AND 24CXX) I use it with ic-prog , it is little ,simply to build ,cheap and give few bugs, When I built it , At first it seems not to work properly (read but not write) then I made the following mod to the schematic: added a 1 k resistor in series on rts line and now everything is ok.! Working with SMT is quite difficult without an smt hot air pencil. The prices of smt stations are too high, so I decided to build it by my own, the result is very impressive. 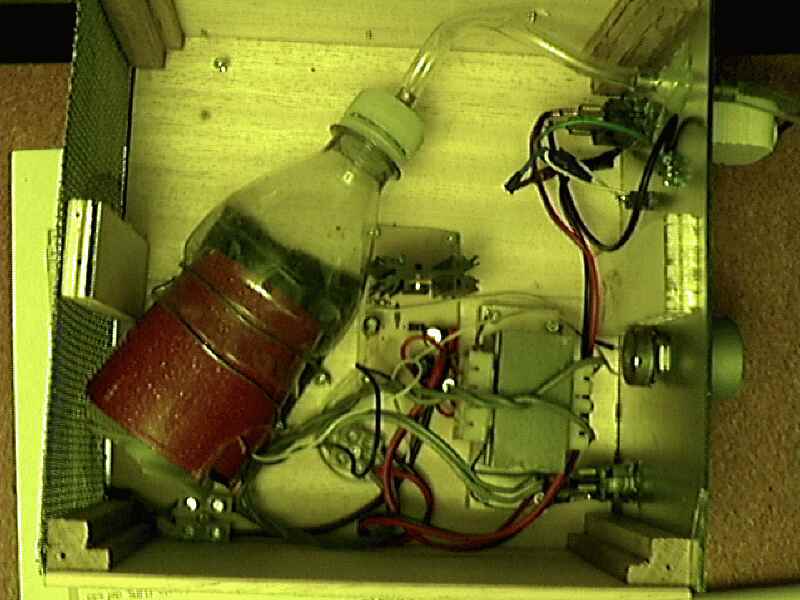 Anyone with basics electronics can try to build it, it's made with common materials. 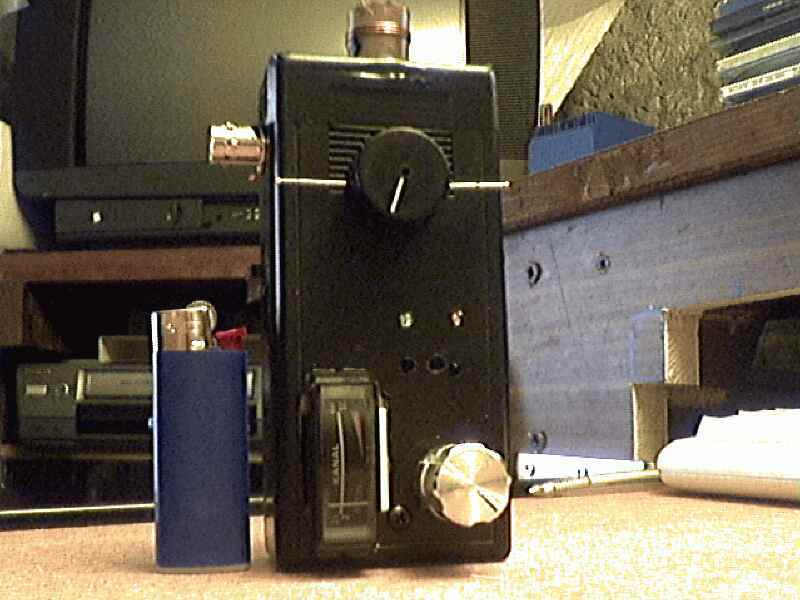 Surfing the web I find some desoldering homemade stations but all using an aquarium pump. Cause I can't get that pump I decided to substitute it with a mini hair dryer, those used travel, this last have inside a 12 v motor cause the internal resistance coil used to hot the air is also used to reduce the 220 AC to 12 volt, infact inside this little dryer you'll find the coil, the motor and a rectifier bridge. The only thing you need is the motor and the tube chassis so you have to cut the handle. First of all you have to get the hotting element, I used an old 60 watt iron , placing the hotting element inside the end of a long iron tube, (about 20 cm, you can also use the same solder tube if there are no holes ) then surrounded the element with Iron Wool (do not press it inside too much or there will be no air flow) that used for washing pots, this trick make the air go slowly and hotter before get out. 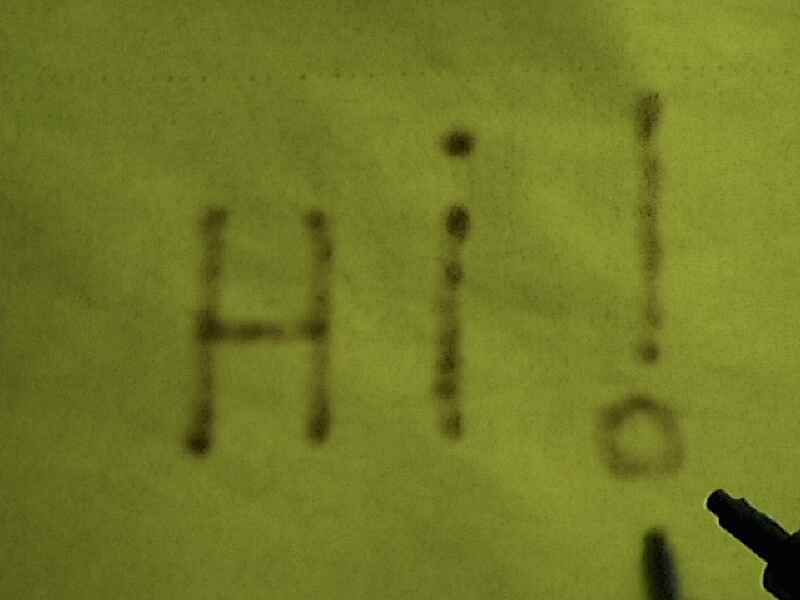 Then I used a 1 meter plastic tube ( 0.5 cm ) to transfer the air to the pen. For the tip you can use some hardware shop material, it must be iron, shorter and pointed (never use aluminium or brass they will reduce the out temperature, preferably use copper ). Once you have made the pen you can test it with your breath. Ensure there is no other hole JUST the one from witch you blow your air in, you can also use some hot glue but only for the tail of the solder obviously not for the point ! 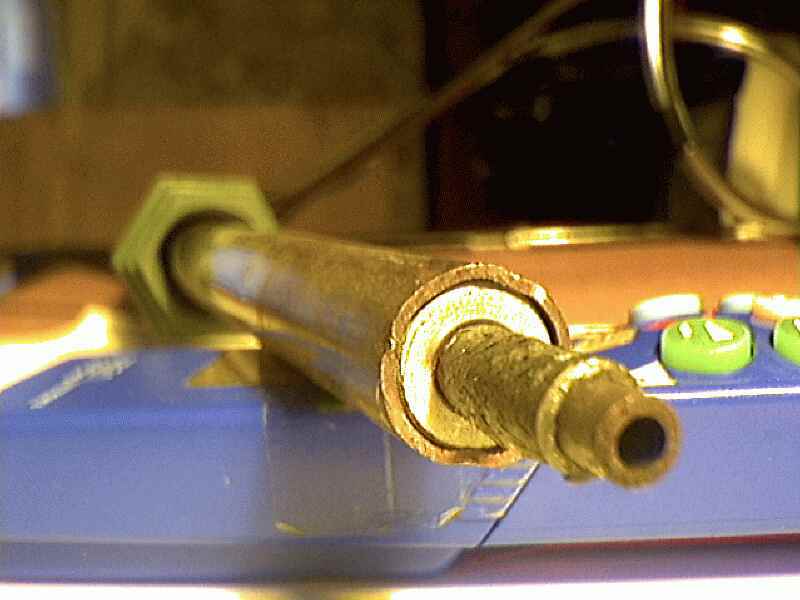 To test: switch on the solder, wait some minutes, lightly blow into the plastic tube, PUT the point at 2 cm from a paper, in 3 seconds the paper must begin to burn or became dark. IF it 's so you are ready to build the air pump, if it's not so, keep on reading here. 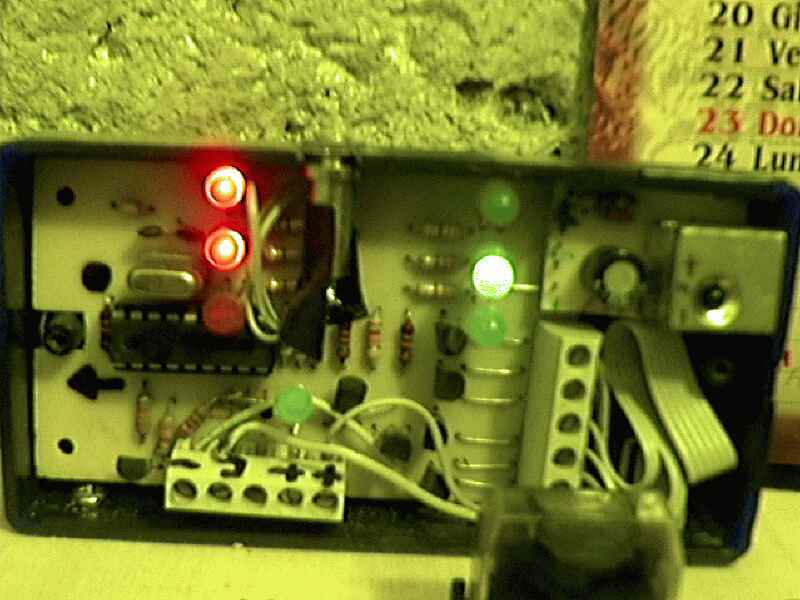 Perhaps your solder is less than 40 watt powerful or you have stocked to much iron wool, so for your blow it's really hard to pass through , but also there may be too little iron wool and the hot isn't transferred quitely . Experiment with the quantity of iron wool and place the hotting element as near as possible to the tip . Building the air pump isn't so much difficult as it seems, first of all get your mini hair dryer, remove everything except the motor and the final rotor, cut only the handle and the rotor's plastic cover, that from which the air enter ( to get more air flow ), take a plastic 66cl pet bottle (coke, fanta and so on ) cut it making such as a funnel, insert it in the out hole of the dryer use some hot glue to fix it, better if it 's inserted with a little pressure, then take the cap , get a short brass tube of 0.5 cm diameter, make the hole on the cap to fit perfectly the tube, insert the tube, use some hot glue to fix it .Now you can use such metal tube to fit the plastic tube to get air outside . 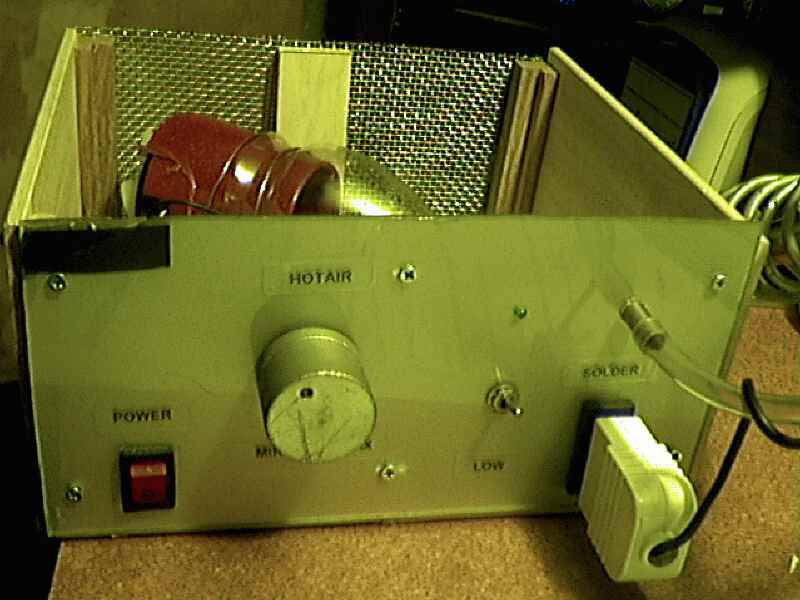 Use a variable power supply 6-12 volt to power the motor dryer and control the air flow, you can use the supply project inside this page next. LOOK at my picture and you will understand anything I mean, by regulating the power supply you regulate the temperature, the more air you pump the more rapidly will be the desoldering. Obviously there is no guaranty that a desoldered component will still function using this kind of station ! Hotting for too much time ( more than 10 secs.) will surely destroy the SMT component. At the end you will have a desoldering smt station for less than 50 $ , with characteristics not really different from those commercials ones. Remember to write to me if you need some extra informations or simply build something !!!! ................more pictures in the gallery section ! 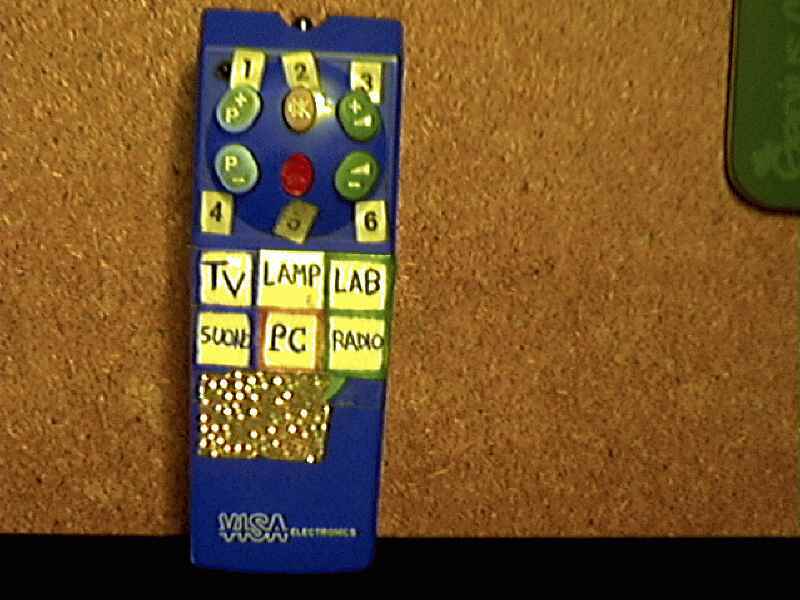 This project is a remote control system based on a pic and an universal remote controller for TV, named SIMPLEX. Obviously you have to get the right remote controller , I used the above universal TV remote and programmed it with the 2242 code, it corresponds to the code of some Sony and Mitsubishi TV .I took the decoding algorithm from tanzilli.comand picpoint.com (they use a display which gives the numeric resulting code of the key pressed on the simplex) , if you want more search for "Simplex" keyword in these sites. The code that I've modified to switch six relays also let you test any remote control ir led , because there is a subroutine that beep the active piezo when you press any button . This last function is toggleable by switching on a particular channel (TV channel). Here is the code and the schematic .The final result is that you 'll be able to command all you room without moving a finger. I think you know what's a UIR so IF it isn't so go to TIES BOS page and learn something :-) .! 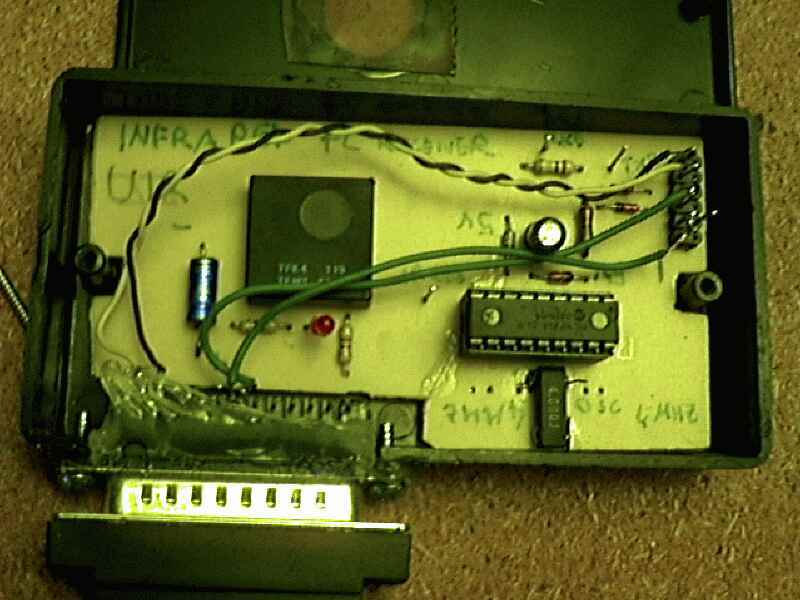 Briefly it's an Infrared receiver which communicated with your pc to command many windows application, so once you have built the interface, programmed the pic16f84 with the code and connected everything to your serial com2 you'll be able to command your pc applications through your TV or VCR remote ! Hoping that your pc will never explode I give you the schematic of TIES BOS , the code for the pic and good luck......... I mean I 've just built one and it works greats so it runsBABY ! Finally sail the net for the windows software to use UIR , such as Girder for instance ( the one I use) and then if you have some problem change your remote and / or the setting of com2 ! Be sure you have the right IC receiver , no matter the brand, it must get out TTL positive level when there is no signal at all.